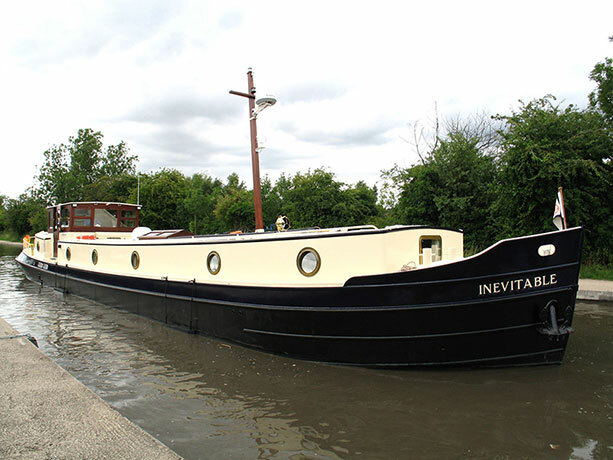 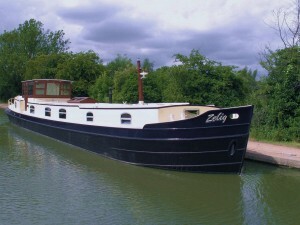 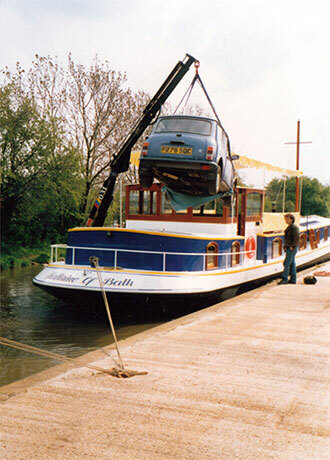 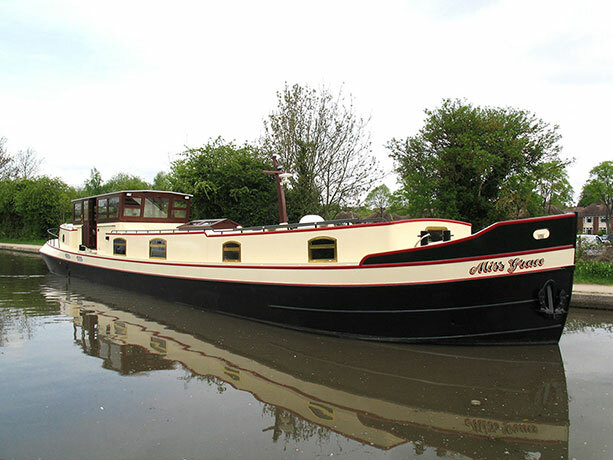 The Dutch Barge is our most popular wide beam boat and without a doubt the Delta Marine Services speciality. 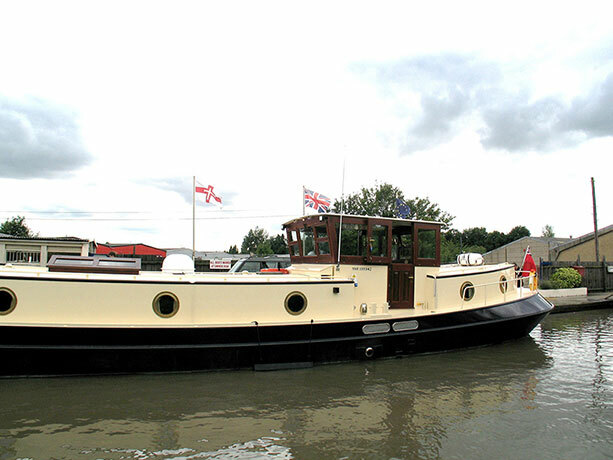 The dignified sweeping curves of the stern and bow are so pleasing to the eye and so individual to this company that any of these Dutch Barges is identifiable throughout Britain and Europe as a Delta Marine Services Luxemotor. 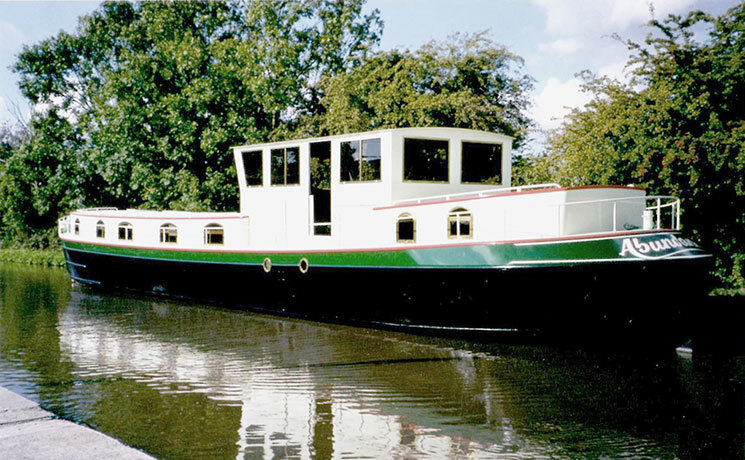 This is entirely our own design and ornate interpretation of the original Dutch Luxemotor cargo barge. 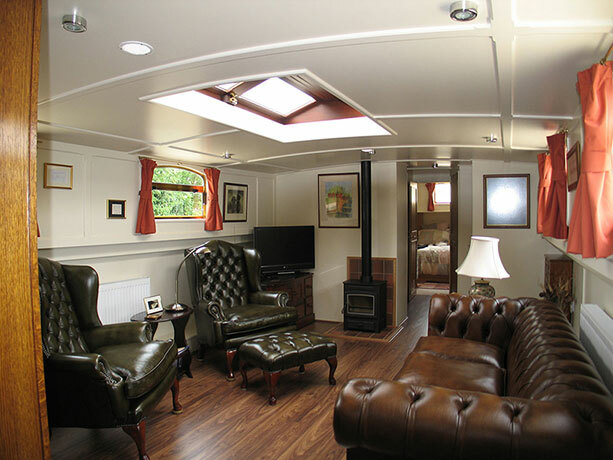 The spacious dimensions and feeling of luxury render the Dutch Barge the vessel of choice, versatile enough to be elegantly suitable both as a fashionable dockside apartment for entertaining guests and for a comfortable retirement spent cruising the waterways of Europe. 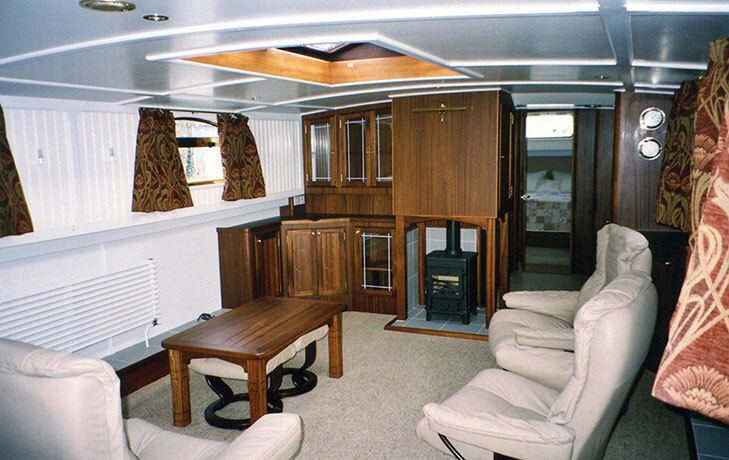 The freedom these magnificent craft provide to each owner to soak up that continental charm at their own leisurely pace whilst relaxing in the comfort of their personal luxury creation make it the natural selection for the more tasteful wide beam enthusiast. 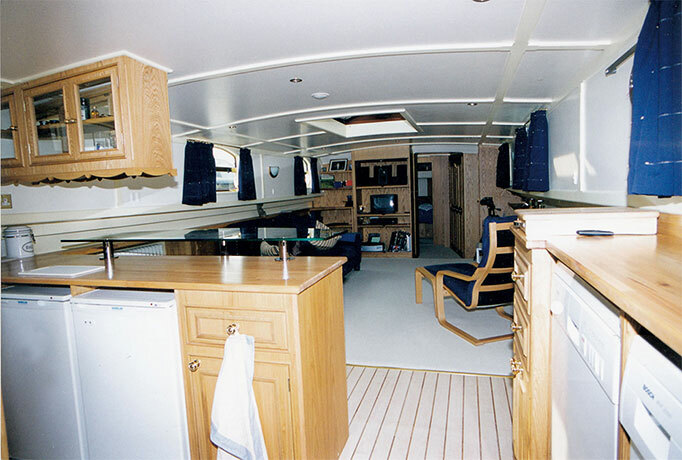 A Delta Marine Services Dutch Barge interior layout would typically have a solid mahogany collapsible wheelhouse dividing the main accommodation with guest quarters aft and the master bedroom at the foremost end of the main cabin. 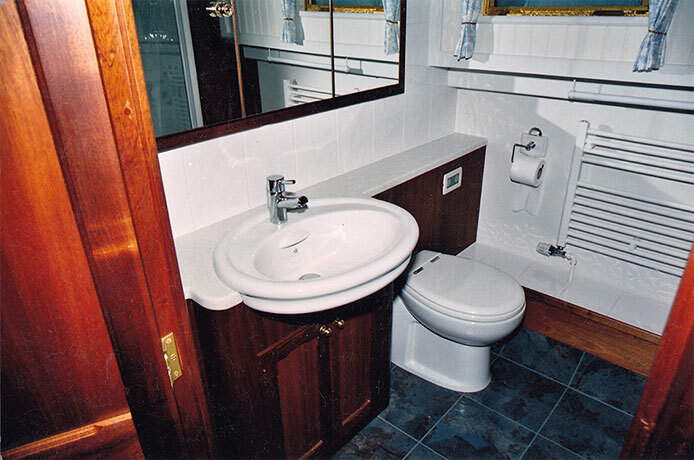 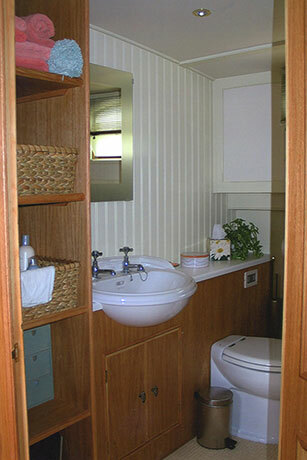 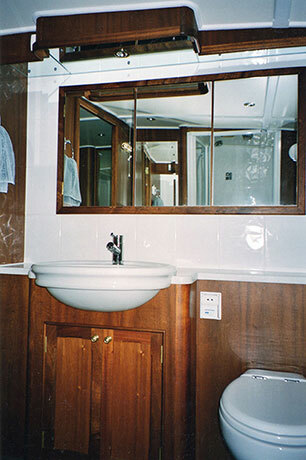 The galley, saloon and main bathroom would be located between the master bedroom and the wheelhouse. 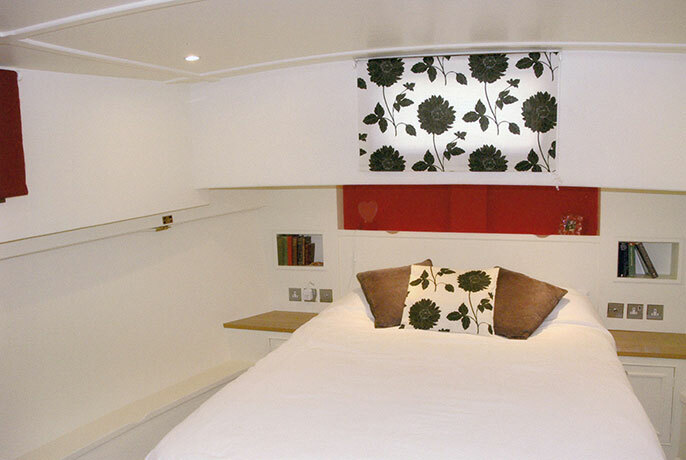 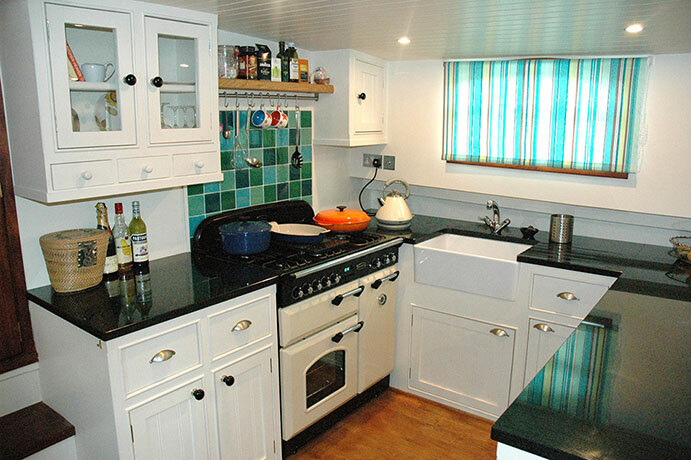 The extra space afforded by the wider beam permits a more studio-style layout than one would expect to find in an ordinary narrowboat or offshore yacht. 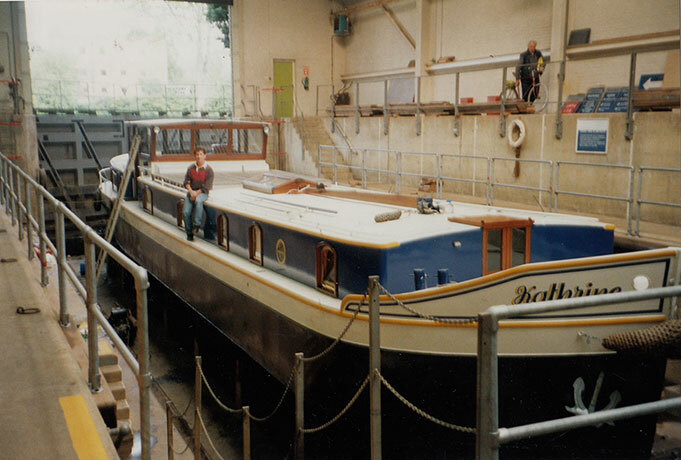 Through years of experience, Delta Marine Services know how to utilise this to its full potential without unnecessary wastage. 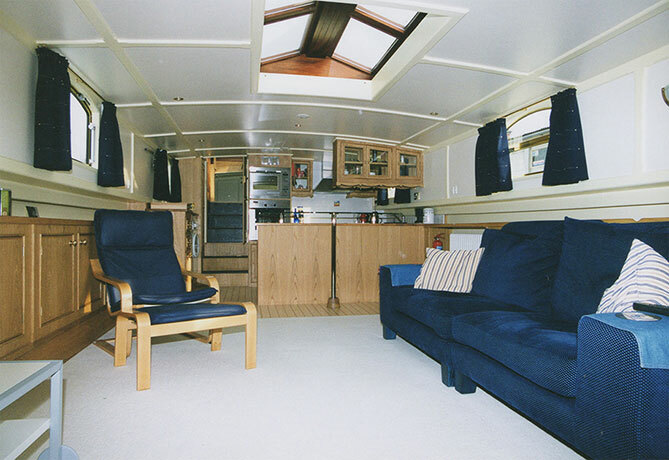 There is a spacious, illuminated and airy feel within the main living area aided by the broad dimensions, large windows and the solid mahogany pigeon box skylight. 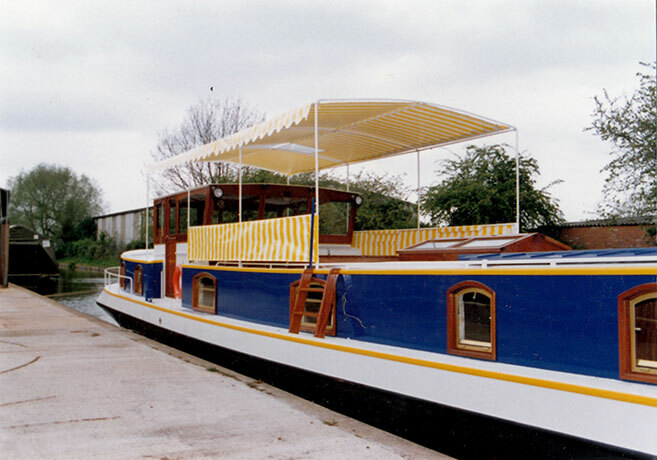 The collapsible wheelhouse permits even the larger of these barges to negotiate the majority of the inland waterways with all of their low bridges and other restrictive obstacles. 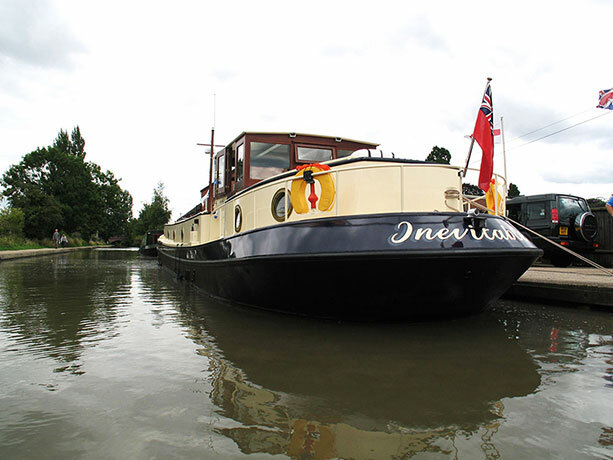 As a testament to our quality of craftsmanship and attention to detail Delta Marine Dutch Barges are renowned for retaining the highest resale value within the inland marine industry. 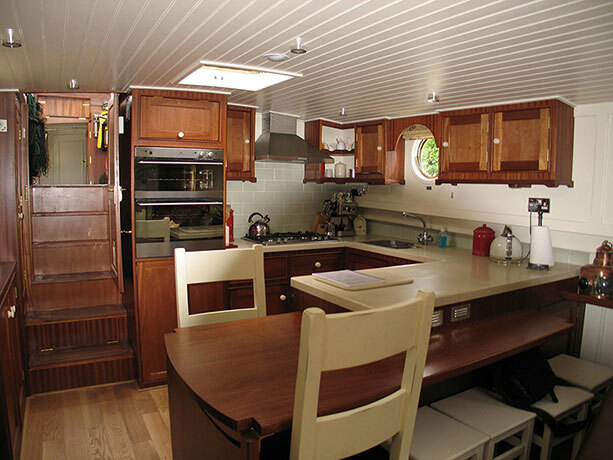 Every one of these elegant craft is constructed to individual specification and preference, we can build to any size and indeed to any design. 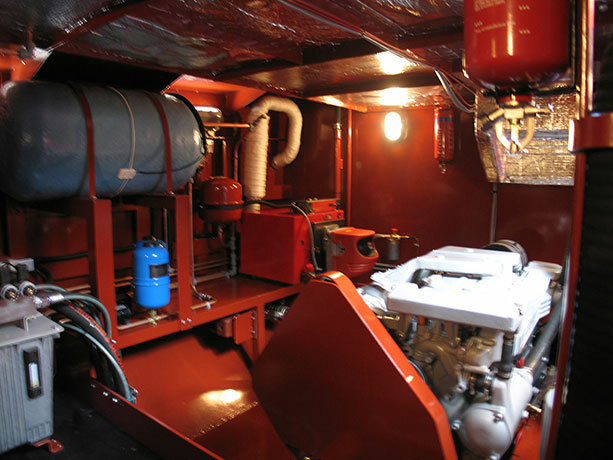 Pictured are examples of the variations of the Luxemotors we would typically build. 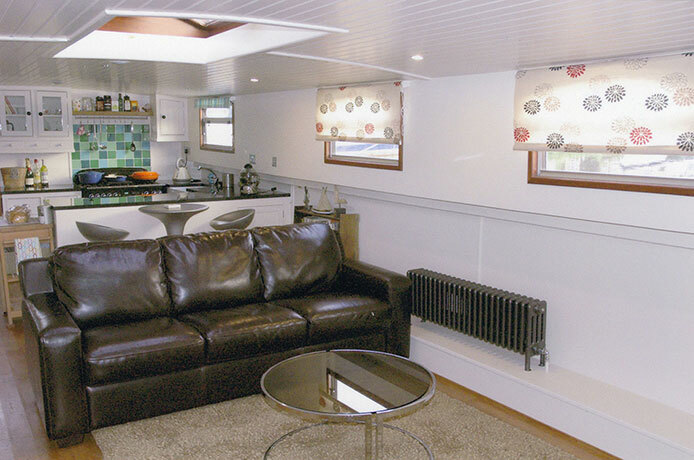 The steel interior of the superstructure and hull are professionally sprayed with neoprene foam insulation before the fit out commences to minimise fuel consumption and keep it cosy. 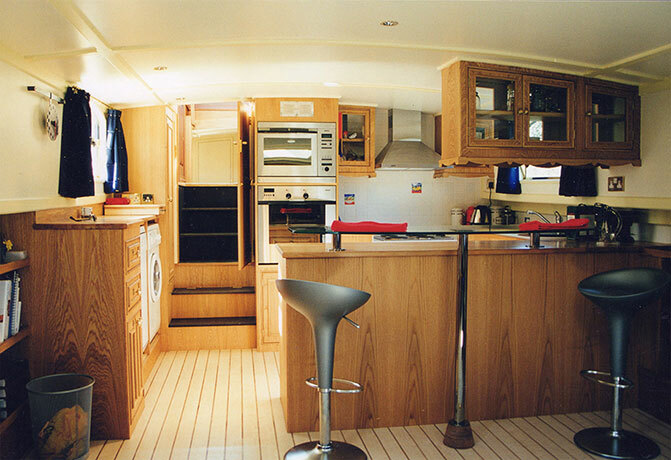 The windows are our own design and retain a traditional style with brass-anodised frames for low maintenance. 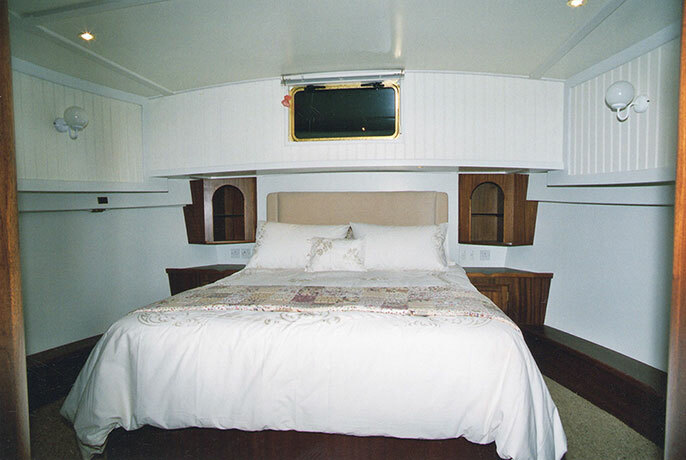 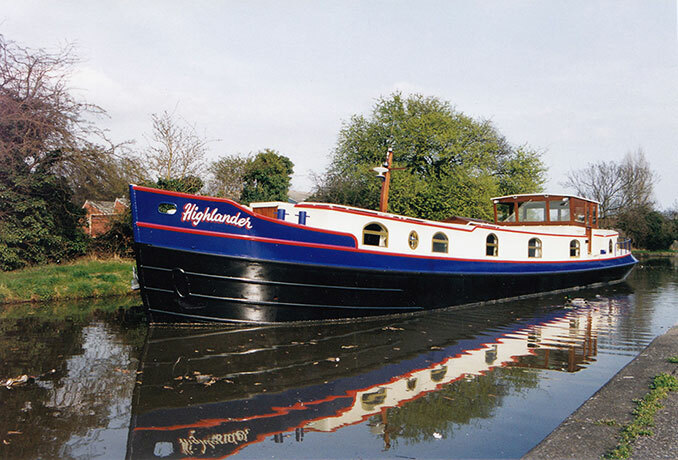 Every Dutch Barge includes all the necessary soft furnishings, sacrificial anodes, navigation lights and fire fighting equipment plus anchor, chain, winch, gangplank, poles, ropes, windlasses, hosepipe, mooring pins and hammer. 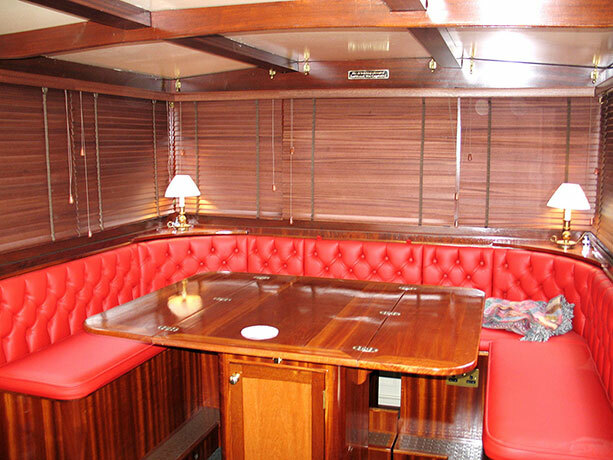 There are thousands of minor details in every boat and too many to list here but every single one is considered. 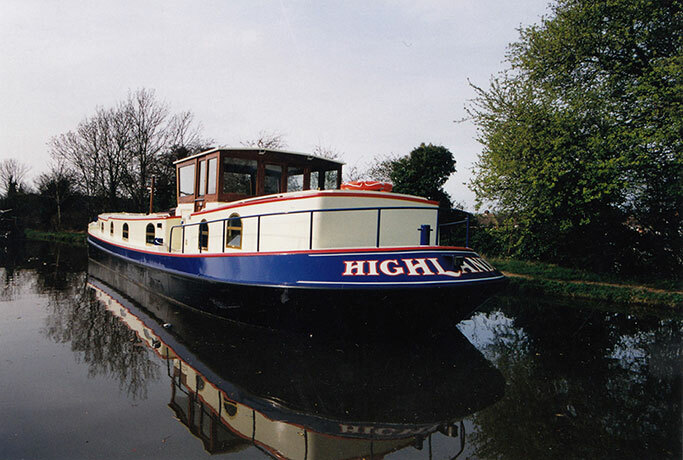 As a matter of policy we only ever select high quality materials and equipment from longstanding reputable manufacturers. 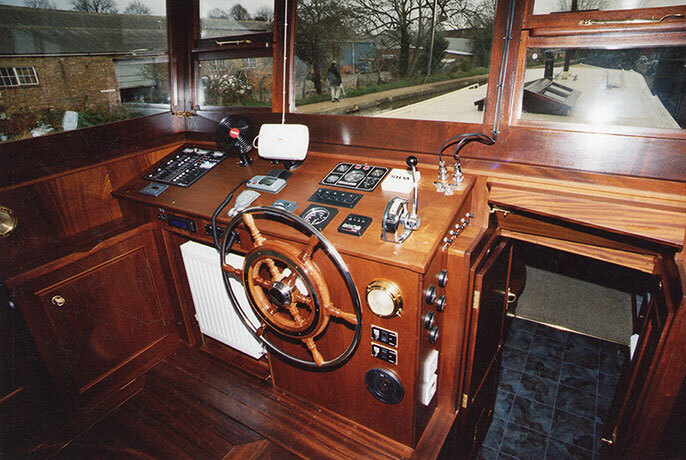 The latest technology is used in electronic panels, instrumentation, hydraulic steering, central heating, toilets, power and water systems making each craft not only easy to operate but comfortable in all aspects. 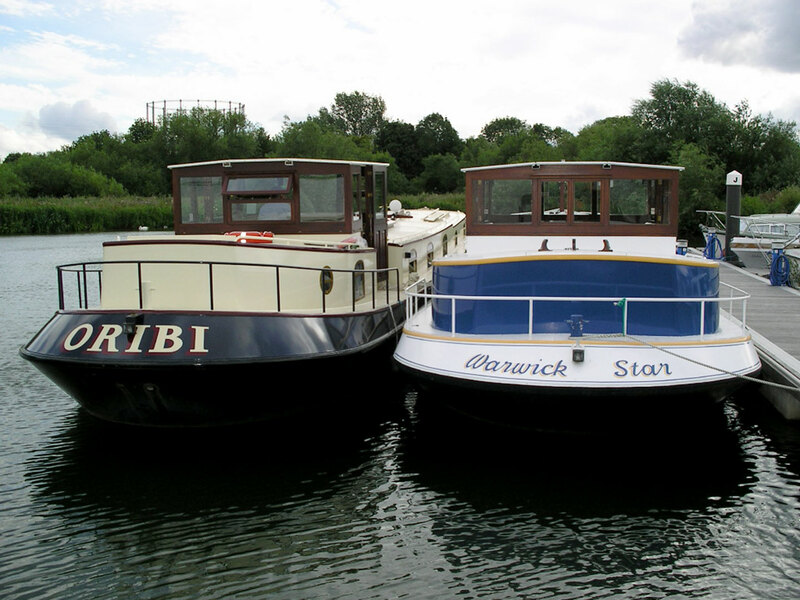 The collapsible wheelhouse makes it possible for even the largest size of these barges to negotiate the inland waterways with all their low bridges and other restrictive overhead obstacles. 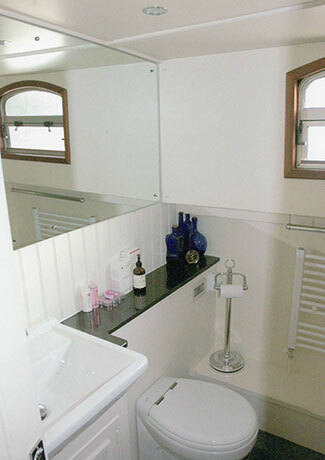 The structure is hardwood framed and glazed with toughened glass having two stable type doors for good ventilation. 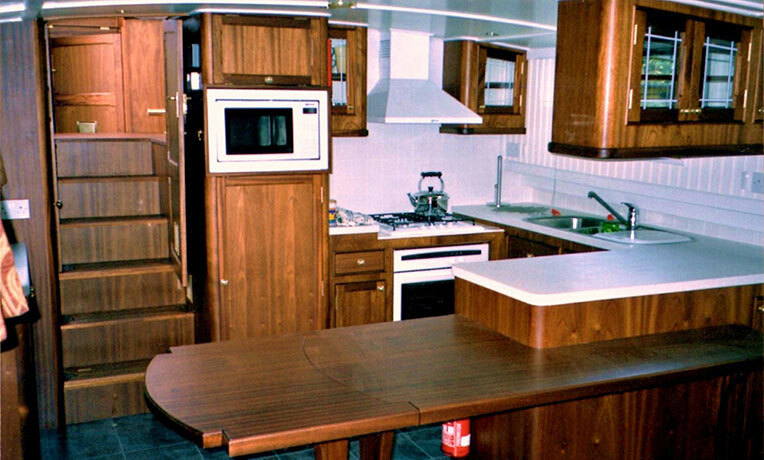 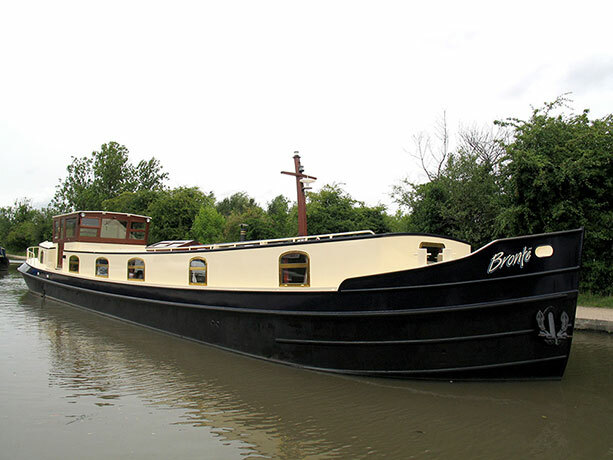 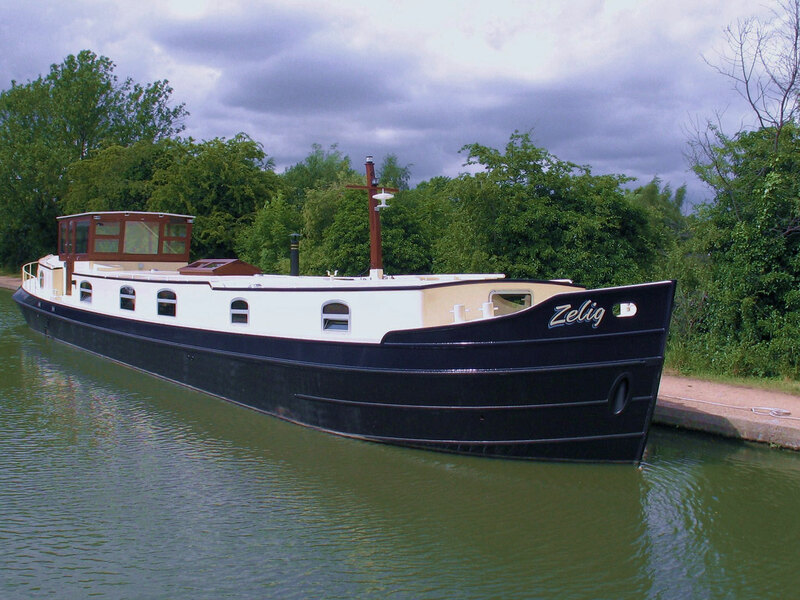 The basic Dutch Barge specification is already high but can be added to or adapted to choice.